How many Simolians do you have to part with these days to get good sound? I mean, really? Is it even possible, or just a frustrating pipe dream? That seems to have been Topic A in 2016, continuing hot on the heels of the previous year and probably going all the way back to Thomas Edison wrapping a sheet of tin foil around a grooved metal cylinder. After writing 100-plus articles for Part-Time Audiophile, including tons of show coverage, this is the one thing that generates the most friendly — and, often, not-so-friendly — feedback. We print equipment prices (usually wrapped in cool little parentheses like this) on almost every piece of gear in every show room we visit, along with our quick-listen (admittedly, not-ideal) impressions of the systems. But rather than flame me for my complaints about the Hulking Monolith Platinum’s slight forward emphasis at 150 Hz or the Valve Enlightenment Co. monoblocks’ shortcomings in the pace department, readers who take the time to comment usually flip their wigs over the prices. I’ve been called a snob for simply walking into a room and typing up what was there. The odds of this happening increases significantly when the speakers creep above $15,000 a pair and the system cost approaches $100,000. But not always. 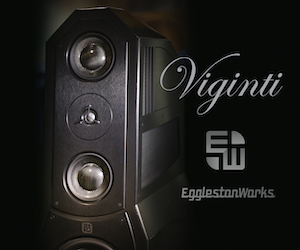 For instance, last summer I participated in an extended comment thread with a reader who felt $750 was outrageous for a pair of exceedingly well-made — and good-sounding — wood-cabinet, self-powered, DAC-included loudspeakers. He contended my assessment of them as a “bargain” proved I was out of touch with the average person. I think part of this issue is that there are a lot of music and gear fans out there who really appreciate good sound. But we’re feeling a little frustrated today, because this used to be a mainstream passion. Now — with smart-phones, earbuds, MP3s and Bluetooth speaker-thingies — not so much. True high-end components can be hard to find. And the way some companies — but not all — have survived is by focusing on enthusiasts who have more disposable income. So, what if you’re a music lover who is not too comfortable with some of the asking prices out there? 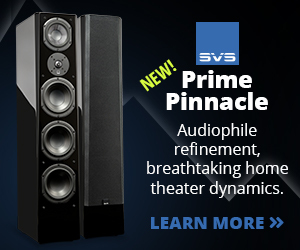 Why even venture into something called high-end audio? First, I think it’s unfortunate this has become the moniker for the industry. When I was growing up, we called it hi-fi. That described everything from coveted JBL-Marantz systems all the way down to much more modest gear you could buy at the department store (or the furniture/appliance dealer, the retailer for my first stereo). Yes, those megabuck systems are impressive. The fact that a market still exists for seriously priced gear allows designers to chase their dreams of the absolute sound. Indeed, when cost is not the primary consideration for manufacturers, the level of resolution they can achieve is stunning. 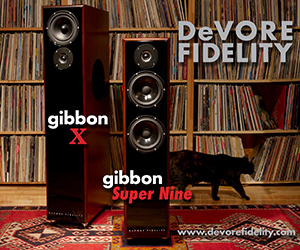 But most folks are never going to have Dave Wilson come out to the house and personally set up a pair of Wilson Audio WAMM speakers or purchase $300,000 worth of Nordost cable to string them up to some equally long-green electronics. There likely has never been as large an assortment of components at lower price levels that offer the level of sound reproduction as what’s available today. We at Part-Time Audiophile have been striving of late to find these overachievers and get the word out. Below is a list of some of the gear in this segment that has caught my eye — and ears — lately. These components aren’t sprinkled with any magic dust, but they can give you at least a taste of higher-dollar sound. All are worth your time to seek out and audition. As you peruse my picks, keep in mind that one person’s definition of “affordable” may not be the same as another’s. Depending on your budget, a carefully assembled $10,000 system that challenges some farther up the ladder still may not be your idea of a bargain. Don’t despair. As you will see, below, there are plenty of ways to put together a rig for much less and still come away smiling. In fact, some of the most-trafficked exhibits at this year’s Rocky Mountain Audio Fest were several “entry-level” rooms highlighting rigs ranging from $500 to $5,000. Obviously, if you just lost your job or are strapped for college funds for your kids, even those price tags may be a non-starter. But hang in there. This trend is not going away anytime soon. For others wanting to dip a toe into the high-end pond, replace a battered college-dorm system or help an audio-newbie family member discover this great hobby, now is the time. So, check under the couch cushions, raid the pickle jar and have a garage sale. Count up those Simolians. Even if you’re not Warren Buffett, you still could have a cool system waiting for you out there — one that could bring you remarkable musical enjoyment. And getting there might be more doable than you imagined. 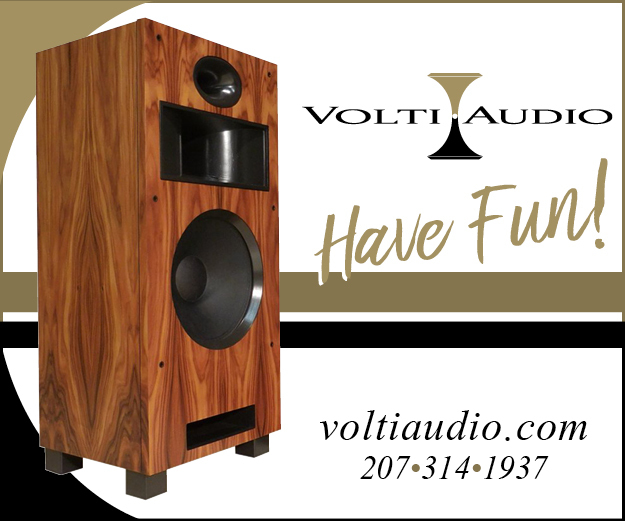 Audioengine HD6 ($749 a pair): This bookshelf model packs a lot into its small, wood-veneered cabinets. The HD6 features a built-in 50 watt-per-channel amplifier, wireless and digital inputs, and a 24-bit DAC. The sound from the 5.5-inch Kevlar woofer and 1-inch silk-dome tweeter is smooth and balanced. 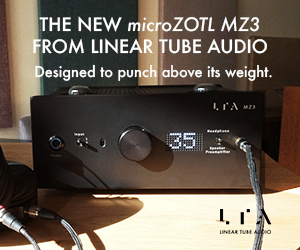 The closest thing to a no-brainer in the premium audio market. Magnepan MMG ($600 a pair): Cool-looking panel speakers that are almost a giveaway. Heading farther up the Magnepan line brings more detail, ease and unflappability, but you could be plenty happy with this overachiever. KEF Q700 ($1,500 a pair): KEF makes a lot of great speakers, including some fine minimonitors. But I’m a floorstanding-transducer guy, and these tall models from KEF include its trademark Uni-Q technology, where the tweeter is nestled in the center of the midrange. This trick, which has taken KEF years to perfect, allows the two drivers to blend seamlessly. 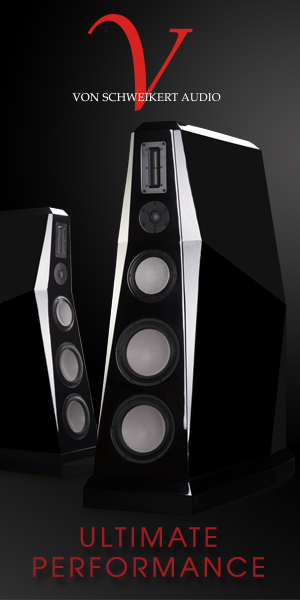 PSB Imagine X2T towers ($1,300 a pair): Another pair of sleek floorstanders, these were developed by Paul S. Barton in Canada using that country’s acoustic testing facility. Well balanced, agile and fairly neutral. For music lovers who avoid being bitten by the upgrade bug, the X2Ts could provide happiness ever after. MartinLogan Clarity ESL ($1,360 a pair): A hybrid electrostatic that gives buyers a taste of the technology’s famous midrange magic. 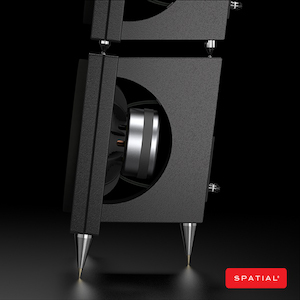 A good fit for smaller rooms and audiophiles who like to listen in the nearfield. Will really come alive with a good subwoofer (see below). Elac F5 ($558 a pair): Yes, you can own two handsome towers for under a grand — way under. 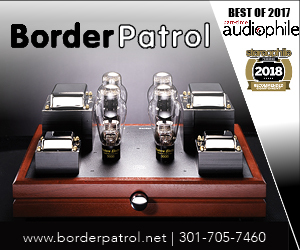 The Elacs need a lot of power, though, so check out something in the Class D powerhouse amp category. Questyle Audio amplifiers and preamp/DAC: Built around an innovative 5G wireless system that sends audio signals in the 5.2GHz/5.8GHz frequency. 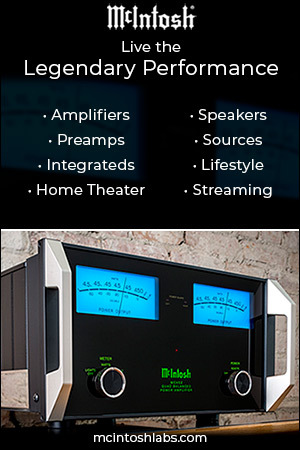 Components include the T2 transmitter/preamp/DAC, the R100 (2×50 watts) wireless amp and the R200 (200 watts mono) wireless amp. The R100, R200 and T2 sell for $999 each. How good are they? 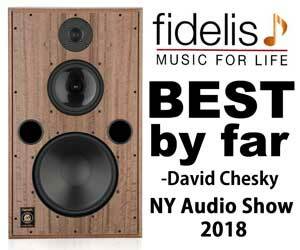 Speaker manufacturer Acoustic Zen, headed by the notoriously discerning Robert Lee, partnered with Questyle at a show to demo Zen’s $22,000-a-pair Crescendo II speakers. The sound was superb. Musical Fidelity M3si integrated amp ($1,499): Decent parts quality and clever design makes this 76 watt-per-channel unit a strong contender. Musical Fidelity V90-AMP USB integrated amp ($350): Only 20 watts per channel, but that could be enough to drive a fairly efficient speaker, such as the PSBs above. Often can be found discounted to as little as $150. Wyred4Sound mAMP ($749): A 250 watt-per-channel Bigfoot amp in baby chimp clothing. This compact unit could power your Elacs without breaking a sweat. Wyred4Sound mPRE ($879): A small, quiet line stage that also includes a DAC. And, it looks cute next to the company’s mAMP. PrimaLuna ProLogue Classic tube integrated ($1,799): Designed in Holland while manufactured in China and distributed in the U.S. by Upscale Audio’s Kevin Deal, this well-built unit has been compared with the venerable Marantz 8B. A clever auto-biasing circuit makes it easy to love for the tube-curious. You also could move up to the ProLogue Premium at $2,399. Musical Fidelity MS3CD disc player ($1,499): Not cheaping out on your CD spinner is one of the best decisions you can make. Includes a built-in DAC. Chord Mojo DAC ($600): Don’t be fooled by the price. KEF recently used one at AXPONA in Chicago to demo its $24,000-a-pair Blade 2 speakers. Also doubles as a headphone amp. OPPO BDP-1050 Darbee Edition ($1,299): Universal unit that handles SACDs and DVDs as well as CDs. Incorporates a 32-bit DAC from ESS Technology. 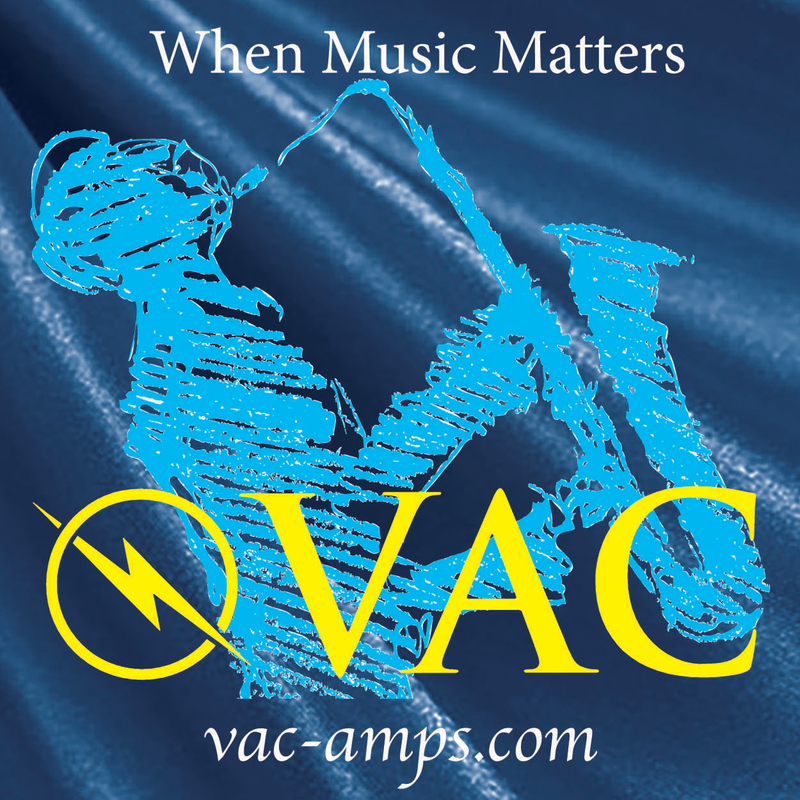 You can do better with a separate transport and DAC, but you would pay many thousands more. Buy the OPPO before its existence is “disrupted” by today’s streaming mania. Think of all those silver discs you still are going to want to play in the years to come. 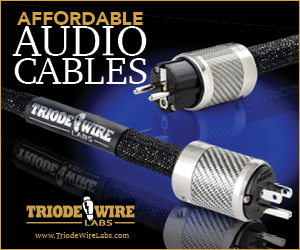 AntiCables: This idiosyncratic wire is exactly as the name implies: an alternative to thousand-dollar cables. Well made by industry maverick Paul Speltz using very pure, solid-core copper. AntiCables are smooth and balanced, with extended highs, although they are not the last word in speed or resolution. 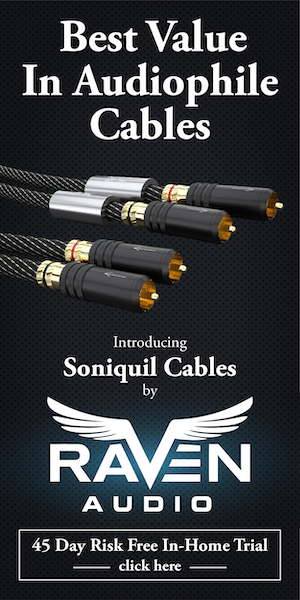 Still, Anti-branded speaker cables start at only $12 a foot and interconnects can be had as cheap as $50 a pair. There’s very little competition at these price points. Note: Reserve that hardware-store stuff for its intended purpose, wiring lamps. U-Turn Audio Orbit Plus ($309): Founded by some young guys in the New England area, this hip little business is going in the right direction. 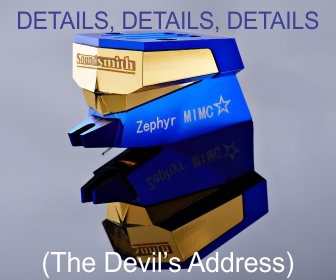 Their turntable, made not in China but on the south side of Boston, features a sturdy plinth; acrylic platter with felt mat; pre-balanced, low-mass tonearm; low-voltage, synchronous motor decoupled from the base; pre-aligned cartridge (an Ortofon OM-5E or Audio-Technica AT95E) with elliptical diamond stylus; rubber drive belt; and shielded RCA cables. Oh, yeah, and a dust cover, too. 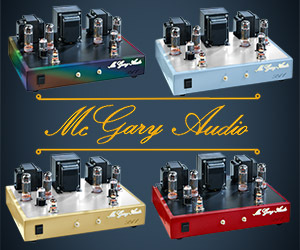 The company also offers its Pluto phono preamp for $89 to create a plug-n-play unit for four bills. Rega RP-6 ($1,999 with Exact 2 cartridge): Rega makes cheaper tables, but the RP6 is when the line hits its price/performance sweet spot. This model excels at detail retrieval and musicality. You won’t believe what’s really on all of your old LPs and the RP-6 probably will have you seeking out the latest 180-gram pressings as well. Channel D Pure Music ($129) and Pure Vinyl ($299). An inexpensive way to enjoy high-quality digital music playback. Amarra Symphony ($749): Organizes your music, offers EQ and performs room correction, all with top-notch sonics. REL T7i ($999): Forget those home-theater thumpers. REL, a veteran British company, builds subs that subtly enhance your music’s natural low end rather than trigger earthquakes. The company makes cheaper — and more expensive — subwoofers, but the T7i is a good choice in the middle. The unit sports 10-inch and 8-inch woofers, driven internally by 200 watts of high-current power. Its hookup cable (included) shares the amp outlets with your main speakers, which continue to run full-range, so integration is smooth. Properly dialed in, a REL can make a well-chosen pair of modest transducers sound like they cost many times more than they actually did. Take my word for it, a REL could be the best reason to stretch your audio budget. 10 Comments on “Affordable high-end” — is that like “jumbo shrimp”? Lovely article. I started buying used stuff but that didn’t work out for me. With some time and dedication you can often find new gear at a great price. I bought my speakers (acoustic energy) for two thirds of the price due to tatty packaging. My dac (dion audio) at half the price as it was the last of it’s kind. My amp and cd player (mitchell and johnson) for a lot less because i bought them as a package. So three different ways to save money. I also feel that now is the time for audiophiles on a budget. Buy a nice pair of active speakers and connect them to a dac, cd player or streamer with volume control and you can have a great compact system. 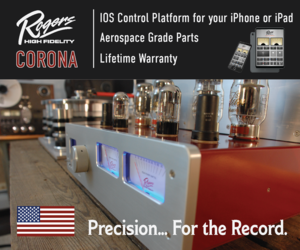 Many dacs now have a volume control and more and more brands are bringing active speakers. Maybe some Acoustic energy ae1 active speakers with an audiolab 8300 cd player with volume control and usb dac. A very modern and complete system that looks great and doesn’t take a lot of space in your living room. With a bit of luck this combo should be possible under 2000 euros, pounds or dollars. You can of course go a lot cheaper. Don’t be frustrated but look out for those affordable gems! Happy hunting. Joseph Campbell’s definition of commitment. It is possible to scratch the audio itch to satisfactory level if you have the commitment over time and are a little creative. Almost my whole kit was purchased as almost new demos. None of it was even close to being broken in. It still took a few years of pinching pennies and focus on the goal. Now I’m starting to think seriously about diy. Search Baby Ongaku. I want to do that. It’s just a matter of commitment and focus over time. I think your comments are on target. Yes, the nosebleed options are out there and receive lots of attention in the hi-fi press. I even shake my head at some of the stuff (price, size and technology wise)and wonder where it will go. However, it is not a new phenomenon. I sold audio gear as a college student working for an electronics rep company back in the late 1970s. While there were far more retailers then than now, the “high end” was still amply available via companies like SAE, McIntosh, AMT Heil and a bunch of others I cant recall. There was less focus on tubes but still lots of stuff at price points that were way beyond me in college and even after grad school. What was neat though, was that some of that technology trickled down into the gear that in my price range. 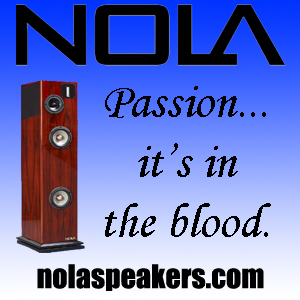 (Still happens today with my Kef speakers,) And, over time my price range expanded as I made more and built my career. I was able to get some good gear as a rep (company discounts were generous and I made some good friends in retail who also helped out). I was satisfied with that stuff from the early 80s until about 10 years ago when the combination of age in some components and meeting a real audiophile at a new job pulled me back into the upgrade orbit. Since then I have spent about $6-7K on new and used equipment. None of it is super esoteric brand wise (Marantz reference, used Mac, Ohm Walsh, Kef LS50, Spendor, Sony ES, Acurus, Cambridge Acoustics). However, I now have 2 systems that for the money more than deliver detail, resolution, transparency, realism and take me closer to the sound of live music. I have done this mostly on line AND without testing most of the gear AND paying a premium because I live on an island 1000s of miles away from physical audio shops and live listening demos. I figure I probably have spend 20% more than if i lived in New York, Seattle, SFO, etc. I recently helped a friend get a great system for $2k that has made him very happy. My first new car was $8k in 1982. My most recent purchase from the same company for about the same size car cost $30k. Stuff goes up in price. The real question is whether the value proposition is still sound and you are getting more, i.e. better quality, better experience, better warranty, etc. I think in audio the answer is yes, if you shop smart. As someone who got back into Hi-Fi through much more affordable “personal audio” recently (well, a couple of years ago) I really appreciate this post. I have been slowly improving my “computer speaker” 2 channel set up however, and am currently using the REL T7i and have used Elac’s Debut B6’s in the past. Really appreciate this article. Audiophiles on a budget shouldn’t over look used/refurbished equipment. I’m still using my Polk subwoofer, which to my ringing ears of a certain age, brings in a nice richness to the Maggies. I’ve also dropped some dollars on SONOS gear so there’s music everywhere, which I love. Is it hi-end? Sounds pretty good when I’m brushing my teeth or making coffee. Even in mono. Buying used/demo is the most important advice. I’ve purchased practically all of my gear used. This also lessens the pain if you sell stuff to upgrade later on. Spatial open baffle speakers. These displaced my AZ Adagios. Notice how some writers have recently starting praising the OB concept. Unison hybrid integrated amps. I’ve moved up to Odyssey Kismet monoblocks which most would call another bargain. I’m considering downsizing back to Unison for convenience. Fidelizer software to optimize a dedicated mini-PC instead of specialized hardware.